I ordered chicken Pho and I think they gave me BBQ Chicken Pho. It was awesome! Loved the spices and chicken. Would order it again! They gave me plenty of meat so I think they heeded the reviews! Thanks Phonation!The broth: pretty good, though PhoJunkies still takes the cake. They gave me plenty of meat so I think they heeded the reviews! Thanks Phonation! The broth: pretty good, though PhoJunkies still takes the cake. Toppings: I like the amount of bean sprouts, basil I get! 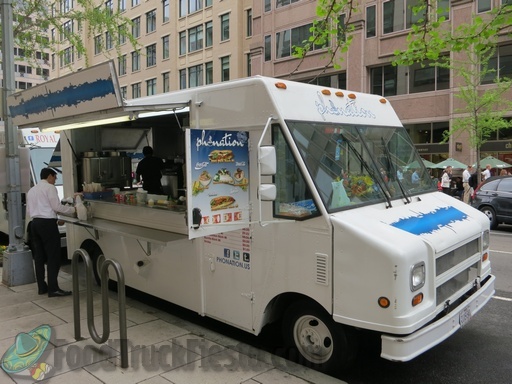 I think this is more than any other DC pho truck I've tried. Awesome! Meat: The right amount! They have three options for beef, which is better than WhatThePho's one option, but less than PhoJunkies' many options (forgot the exact number). Noodles: Thin and plenty. I didn't experience the sogginess some other reviewers posted about, at least not any more than any other pho food truck. I liked their noodles! Co-workers eat Pho every week smell good so I decided to try it from Pho Junkies the taste were good and they give you so much meat. Ok I decided to try phonation Pho excellent taste but no meat three small pieces of meat no will not go there again Pho Junkies yes a lot of meat. That's my opinion. How Much Did It Cost? : $9. I used to hit the Pho Junkies truck on Wednesdays with several people from my office. 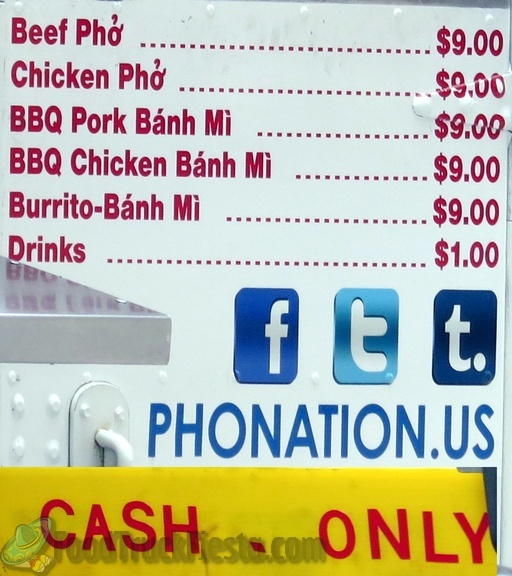 I read the reviews for Phonation and was a bit apprehensive about going with some of the reviews, but apparently, Phonation truck also reads the reviews and they have improved from what I can tell. The food is spicy, the broth is amazing and the noodles are cooked perfectly. I have the perfect amount of meat as well. Impressed. I am not 100% sold yet, but I will be going back. Thank you for continuing a tradition that started when I was at FEMA. Today my friend and I tried Phonation after being in the mood for Pho all week--we were excited to try it! I had the steak and brisket, she had the steak. The good news--the broth is flavorful and nearly perfect! The bad news--there were NO sauces in the to-go baggy! What?? How in the world do you expect me to make the perfect blend of spicy Pho soup without Sriracha?? So that's a big head shaker for me. One other thumbs down item for both of us is the skimpy amount of meat--too much noodle, way way too skimpy on the meat. So, for $9 bucks of my hard-earned money, could a lady get a little more meat please Phonation? Overall, the Phonation food truck is convenient and the broth is good but please, give us some more meat and include the sauces in the to-go baggy. Thanks! Tasty Broth. So far, my favorite Pho truck. I have only ordered the Pho, so I can't comment on the other food. In comparison to the competitors I have tried, the broth has much more flavor. Broth was very good. However, the beef was very fatty, not good chewey but thick hard fatty. Also, they put noodles directly in the steaming hot broth so by the time you get back to your office, the noodles are mushy. The pho broth was very flavorful; however, I thought they skimped on the meat. I also think their mechanism for pouring the broth over the noodles and meat might have been a bit too hot as the noodles got over-cooked quickly. I'll try them again, but not for the pho. Sorry, I'll stick with Pho-Junkies for my pho. 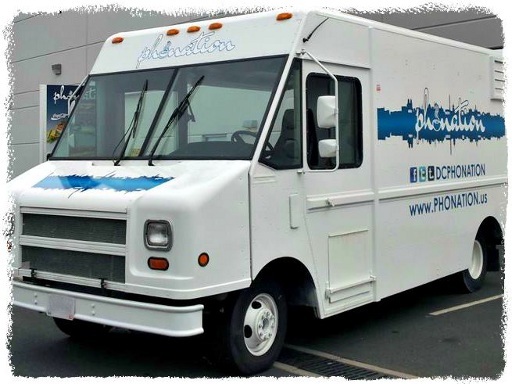 Rachel (of a former DC Pho truck), launched a new truck, named Phonation! 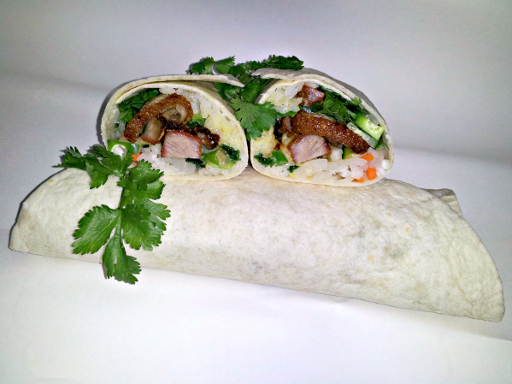 Not only has she brought back the usual pho menu, but she offers a new menu item: the Burrito Banhmi.